Is there a better alternative to Crossfade Loop Synth? 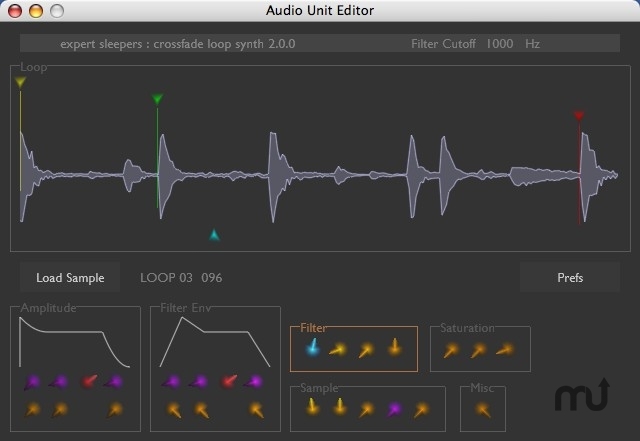 Is Crossfade Loop Synth really the best app in Audio category? Will Crossfade Loop Synth work good on macOS 10.13.4? Crossfade Loop Synth needs a rating. Be the first to rate this app and get the discussion started! Crossfade Loop Synth is a simple sample playback synth plug-in that plays samples in the classic sampler manner - by simply altering the playback speed according to the desired note. No fancy timestretching or pitchshifting is applied.You can control how the sample is looped as it is played. An adjustable amount of crossfade can be applied to the loop endpoints to smooth the transitions. This makes it extremely easy to produce glitch-free pad sounds.The loops can also be played backwards and alternately forwards and backwards (pendulum-style).Further sound processing can be applied in the form of overdrive/saturation, filtering and envelopes.The synth is 32 note polyphonic, and all parameters can be controlled by MIDI controllers.If you'd like to read more about the plug-in before downloading it, the user manual is online here. Note that the Download link delivers the AU version of the plug-in. If you require the VST version, you'll find it in Related Links below.